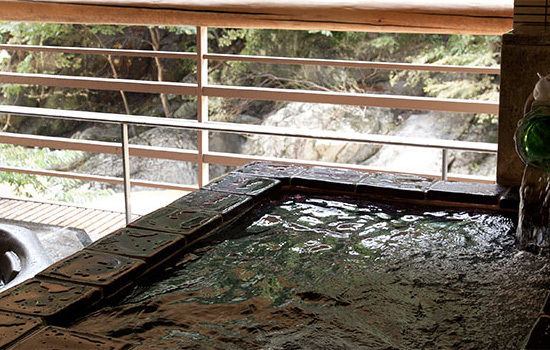 Surrounded by wild nature yet only 90 minutes from Tokyo and Niigata, this traditional ryokan inn has been operating in this hot spring valley for over 90 years since its establishment in 1927. 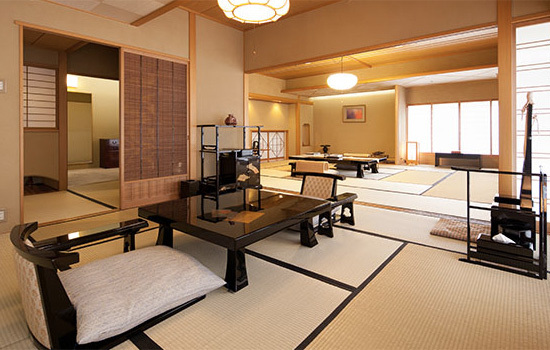 The Emperor of Japan and the Imperial Family once stayed at this ryokan, earning it a reputation as the leading hotel in the Minakami Onsen area. 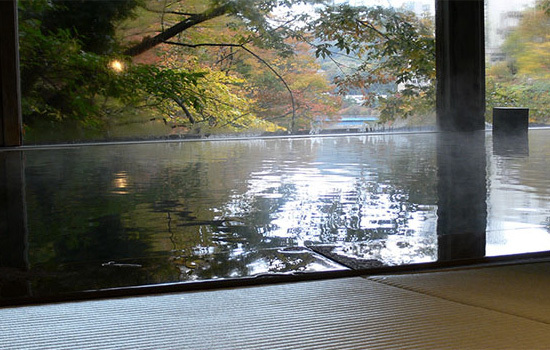 Fifteen different baths await exploration, like delightful outdoor rotenburo and recently renovated (2014) tatami mat baths and private family baths available 24 hours. 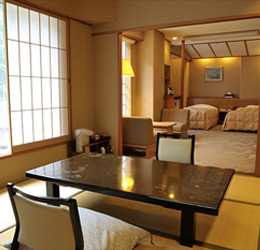 The sounds and sights of the legendary Mount Tanigawadake, the gentle babble of the Tone River and the gorgeous valley views from the guest rooms will immerse you in a uniquely soothing restfulness. 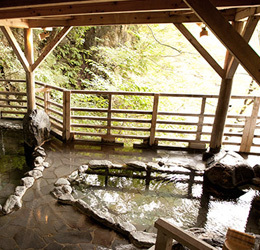 At Minakamikan, you can surrender yourself to nature and indulge in our authentic hot spring baths. Every bath envelops you in the sensations of the four seasons with the sound of the flowing river and relaxing views of young leaves, autumn foliage and stark winter beauty. With 15 delightful baths to enjoy, you are certain to find satisfaction while exploring each unique design and atmosphere. 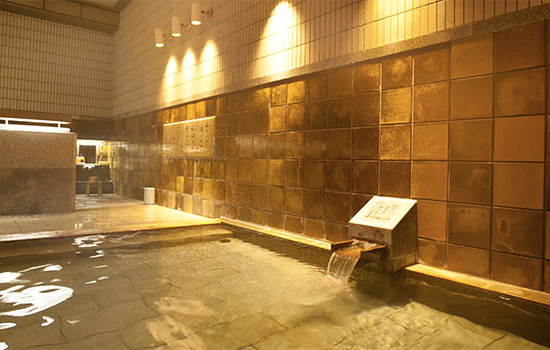 This treasured original 1927 Minakamikan building was preserved and reborn as the Bokusui-no-Yu Bathhouse. 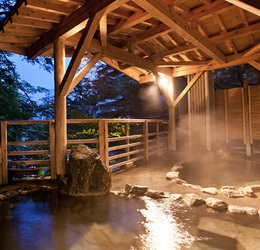 You can admire the sturdy original cypress roof beams in this unique hot spring complex. It is said that the famous poet Bokusui Wakayama stopped at this hot spring to rest while traveling and writing his masterpiece, Suijo Kikou. From the tatami mat walkway, descend the staircase leading to the river to find the secluded outdoor baths that immerse you in the four seasons with natural views of fresh green, vibrant autumn reds and glittering white snow. Relax and listen to the steady rush of the Tone River, feel a gentle breeze on your bare skin... Immerse yourself in the warm water and fully experience the blessings of nature with all five senses. Once you find yourself in this soothing embrace, you will be reluctant to ever leave. The elegant cypress bath and the thick roof beams set the mood for a relaxing moment. Enjoy the natural breeze and the rustling of the wild woods along the Tone River in every season through the large window. 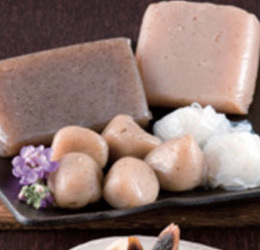 Explore a chain of eight baths along the river valley and experience hometown pride and hot spring romance through unique materials from the Joshu (Old Gunma) and Okutone areas. Starting with the VIP Suite once used by the Imperial Family, each room is built skillfully and elegantly with a unique atmosphere. 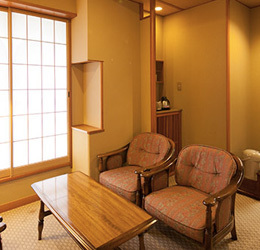 Please relax yourself completely and enjoy the grand views, comfortable guest rooms, and restful mood of Minakami Onsen. 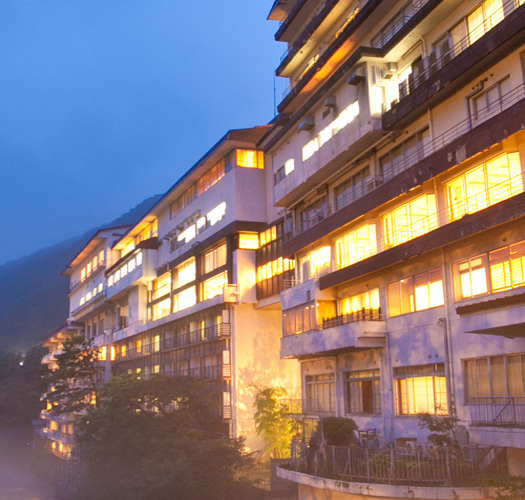 Choose from a variety of rooms that highlight the many delights of Minakami Onsen, including soaring views of Mount Tanigawadake and the Tone River, or charm of the local train line. 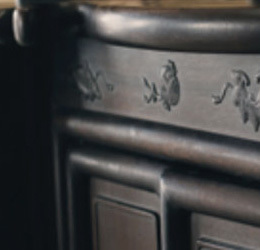 Guests can select from thoughtful accommodation to meet their individual needs like suites with a private bath, wheelchair accessible rooms, and Western-style bedding. 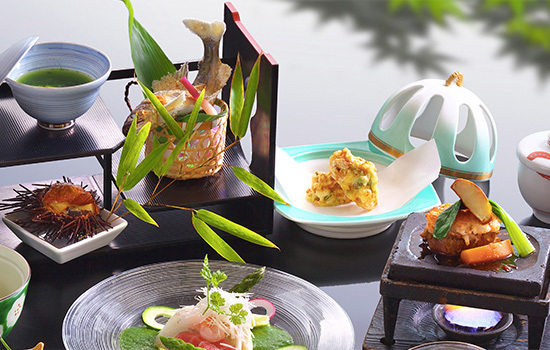 Experience a traditional Japanese course meal using seasonal ingredients showcasing the best of the mountains, the sea, and Gunma’s local produce. 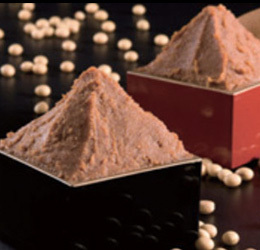 Our chefs serve original and creative dishes that can only be enjoyed at Minakamikan. The side dishes and appetizers are re-imagined every day so our guests can fully experience the season’s best offerings. 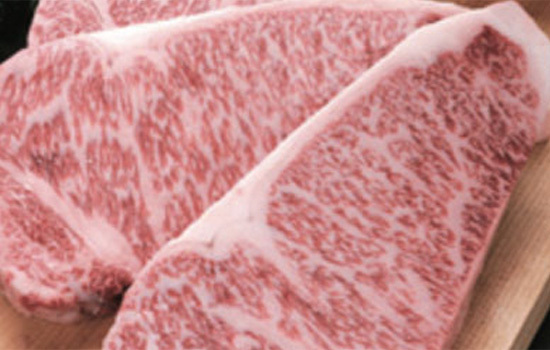 Guests can try sumptuous local Joshu Pork and Joshu Wagyu Beef as well as delicious and delightful seasonal ingredients from all over Japan, prepared with patience and pride by our expert chefs. Dinner time is the best time for lively conversation during travel. 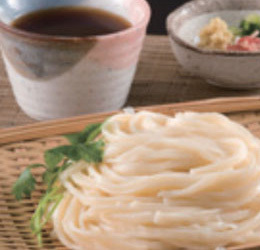 A variety of dining styles are available to make our guests comfortable, including Japanese style seating, a Western restaurant, and room service. Mark your trip with a delightful dining experience that you’ll never forget. 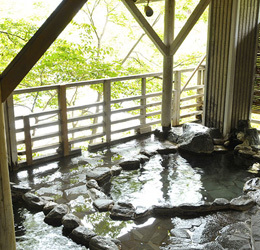 How will you spend your time while surrounded by mountains and rivers in Minakami? 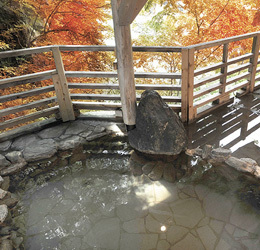 The Joshu and Minakami Onsen areas offer a full array of exciting and interesting nature activities including Japan’s best white water rafting, natural waterfall slides, canyoning, Oze National Park, Mount Tanigawadake, skiing, snowboarding, snowshoe hiking, and all-you-can-eat strawberry, cherry and apple picking. 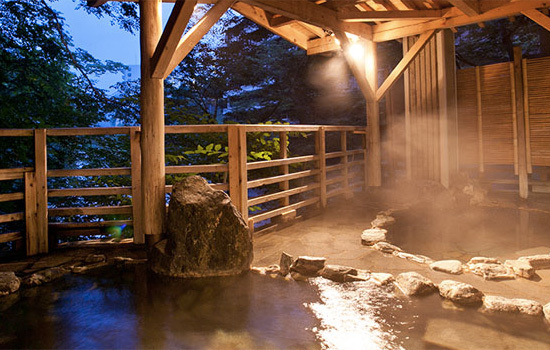 Minakami - Come For the Hot Springs, Stay For the Best Rafting in Japan. The Tone River is one of the three fastest rivers in Japan. Minakami is so perfect for rafting that international competitions are hosted here. Many professional rafting companies operate guided expeditions here. 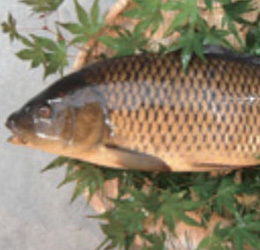 Our guests can book an exciting Minakamikan Original! 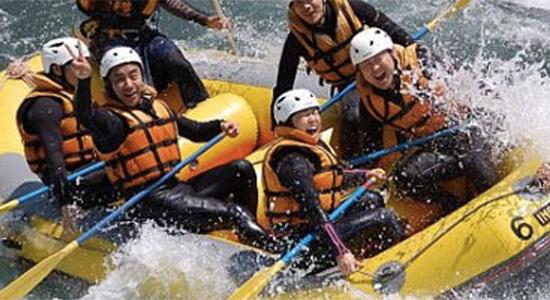 Rafting Course including a casual half-day beginner’s course, a full-day intermediate course, or even a customized hybrid adventure. 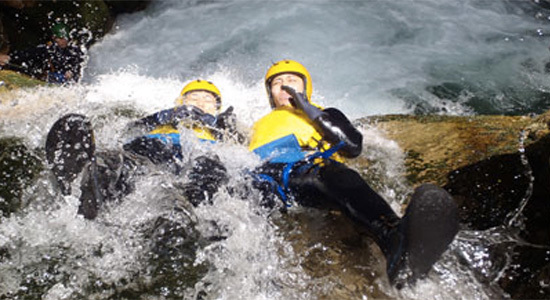 Put your endurance to the test with an exciting canyoning quest surrounded by wild mountains and marshland. Courses are available for every level of experience, from a beginner’s course to an intense Premium FOX course. Experience the joy of full immersion in nature through an outdoor adventure like you’ve never tried before. 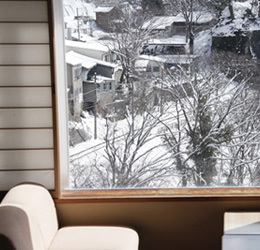 Minakami is one of the top skiing destinations for the Kanto area. There are seven ski areas located only 15 to 40 minutes from Minakami Onsen, offering authentically challenging slopes and family-friendly snow parks. 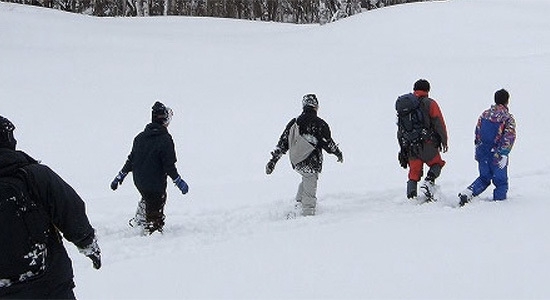 Guests can also try the latest trend in winter sports: snowshoe hiking, a perfect introduction to the thrill of a winter landscape for the whole family. © 2016 MINAKAMIKAN All Rights Reserved.